Progress for Industry, Inc. is known for our superior plating for the molding industry. Our experienced craftsmen have been servicing industries across the US and internationally for over 30 years. We have expertise in Dura Slick (a dry lubricant coating with a low coefficient of friction makeup), Lubricoat (an electroless nickel coating with Teflon), hardcoat anodize platings, nickel boron nitride coatings, and other nickel coatings, which have made us the go-to source for reliable plating on injection mold tooling and other components. Dura Slick is a metal plating selection that is the most popular with our injection mold plating customers. PFI’s Dura Slick mold release coating differentiates over any competitor by offering an extremely low coefficient of friction and wear resistance, we recommend this option for large and small electronics, medical components, and other molding industry projects. 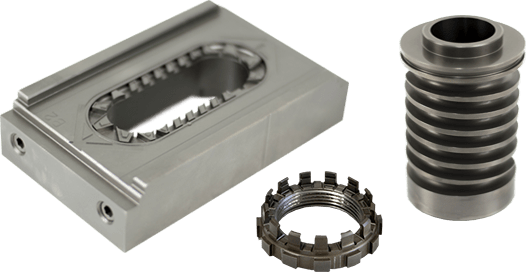 This innovative coating, composed of nickel, phosphorous, Teflon and lubricity inducing polymers, aid in the release of plastic from the mold component making it a favorite in the molding industry. Also, because of the presence of phosphorous and nickel, it is excellent for corrosion protection. Our expertly plated Nickel Boron Nitride coatings have uniform thickness and are excellent prevention against wear. It is a great choice for selective plating, and PFI is a leader in the intricate technique. 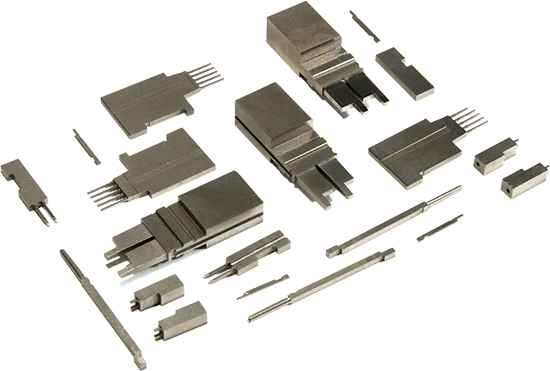 We offer electroless nickel boron nitride platings and three baths for satin nickel plating, black nickel plating, and ductile sulfamate coatings. PFI offers quality electroless nickel platings with two baths for satin nickel platings and black nickel platings. All electroless nickel platings provide excellent corrosion protection, lubricity, and hardness. 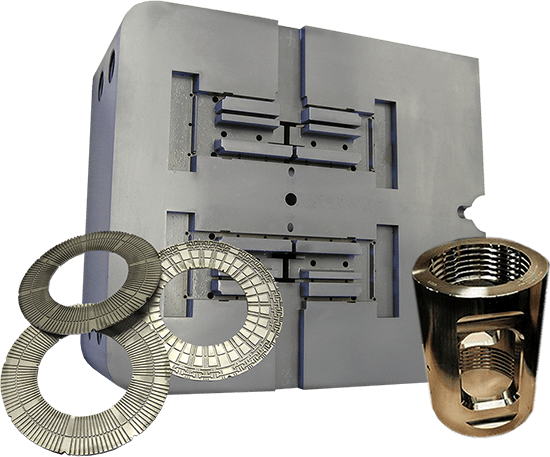 Electroless nickel plating is the number one corrosion protection coating for injection molding manufacturing. This dielectric surface coating improves abrasion resistance and is excellent plating for corrosion resistance. It improves the appearance of aluminum. Type II comes in many color selections, and Type III is made to military standards. Masking and selective plating is also available for close tolerance parts. Alongside our most popular services such as Dura Slick and Lubricoat, we also offer services including electrodeposited tin plating, industrial hard chrome plating, electropolishing & stainless steel passivation, chrome impregnation, engineering nickel plating, and zinc plating. Progress for Industry, Inc. is located in Saegertown, PA, bordering Meadville, which is the home of the tool and mold manufacturing industry. We are also a short 32 minutes south of Erie, home of the plastic injection industry.